FINAL SALE. Bold stud embellishments at the bust of this dress add the perfect edge to this party dress. The Heavy Metal Stud Embellished Dress is fully lined. It has adjustable spaghetti straps and a lightly padded bust for support. Stud embellishments in various shapes and sizes form a unique pattern and decorate the bust of this dress. The attached skirt has a flowy cut and is made of chiffon. A hidden side zipper completes this dress. The Heavy Metal Stud Embellished Dress is perfect for any party. 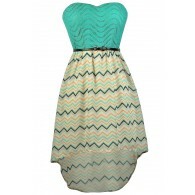 Pair it with pumps, wedges, or gladiator sandals for a fun look. Details: Fully lined. Lightly padded bust. Hidden side zipper. Adjustable spaghetti straps. 50% polyester, 35% rayon, 10% nylon, 5% spandex. Hand wash cold with like colors. Do not bleach. Low iron. Small measurements: Length from top of bust to hemline: 28". Bust: 32". You have added Heavy Metal Stud Embellished Dress in Beige into Wishlist. You have added Heavy Metal Stud Embellished Dress in Beige for Stock Notification. 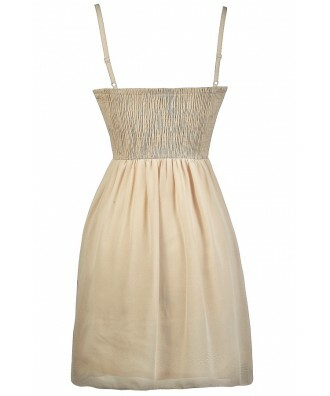 You have set Heavy Metal Stud Embellished Dress in Beige as a loved product. 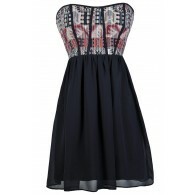 You have removed Heavy Metal Stud Embellished Dress in Beige as a loved product.